It’s taken a decade for historic land along the Trinity in Arlington to go from lawless to flawless. Art Sahlstein has seen it all. From his two-story home in Euless, the 59-year-old recently re-married father of three recalls mud flying from the tires of four-wheel drive vehicles, a screaming, mosquito-slapping wild man, and a boatload of naked partygoers. An “untamed frontier” would be a good description. 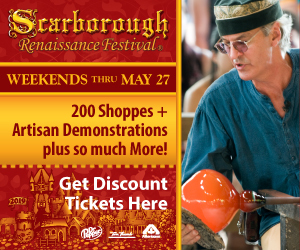 Art Sahlstein is ready to run off “infidels” to help protect a massive residential development. Courtesy of Facebook. The land he’s talking about is about 2,000 acres along the Trinity River in North Arlington. A not-so-amateur archaeologist, Sahlstein knows the area well. Really well. 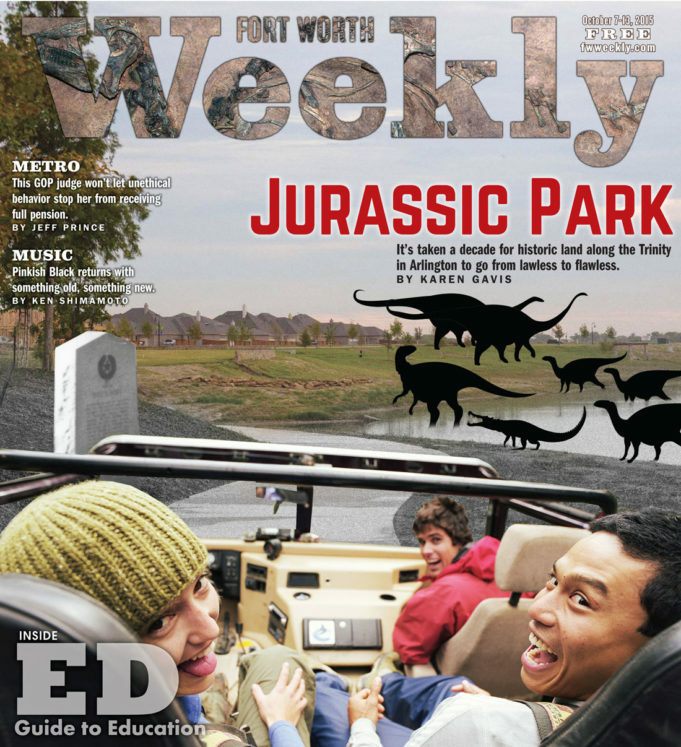 In 2003, Sahlstein and two students from the University of Texas-Arlington — and Sahlstein’s youngest daughter Olivia, who was 7 at the time — discovered the Arlington Archosaur site, situated among 95 million-year-old rocks within what is called the Woodbine Formation. Ancestors to a large group of reptiles, including crocodiles and birds, archosaurs, known as “the ruling reptiles,” probably originated 250 million years ago. The site’s discovery was significant because it offered a peek at preserved ancient coastland from a time when the Gulf of Mexico stretched up through Texas and into Canada. 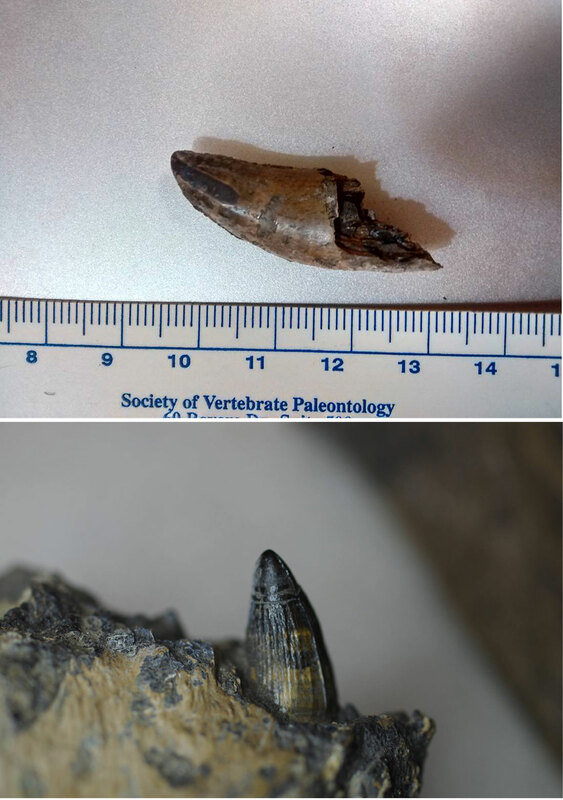 A duck-billed dino, perhaps a new species, and a new species of therapod also have been discovered at the site. Sahlstein feels it’s his duty to protect the terrain. 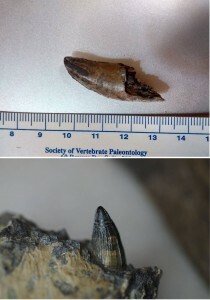 A theropod tooth (top) and a crocodile tooth (bottom) were found at the Arlington Archosaur site. Courtesy of Facebook. Sahlstein, who recently suffered a heart attack, returned home from the hospital earlier this week. His stewardship job will be somewhat easier now with the advent of Viridian. Previous articleGo for a Spin! An archaeologist is not a paleontologist. 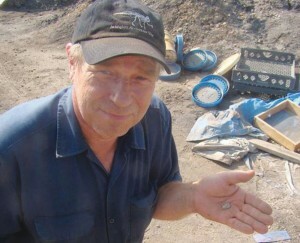 Paleontologists deal with dinosaurs and fossils, not archaeologists.